Forty years after Pauline Kael wrote her hatchet job Raising Kane (The New Yorker, Feb. 20-27, 1971), the myth of Orson Welles’ arrogance and failure is apparently still alive and kicking. 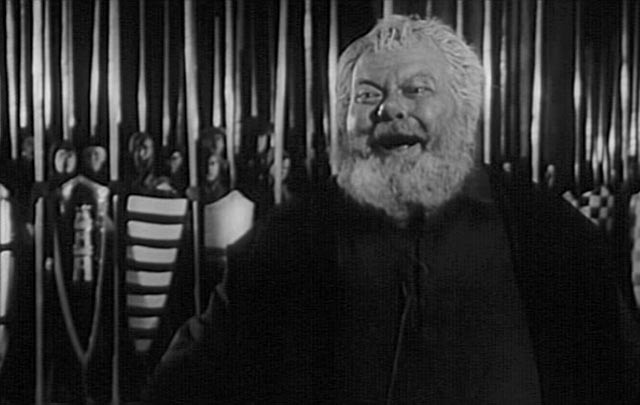 In his August 13 column, Glenn Erickson over at DVD Savant passed on a link to a Wall Street Journal article by their resident drama critic Terry Teachout which begins with an announcement that a restored version of Welles’ supreme masterpiece Chimes At Midnight (aka Falstaff, 1965) is due to be unveiled in England. 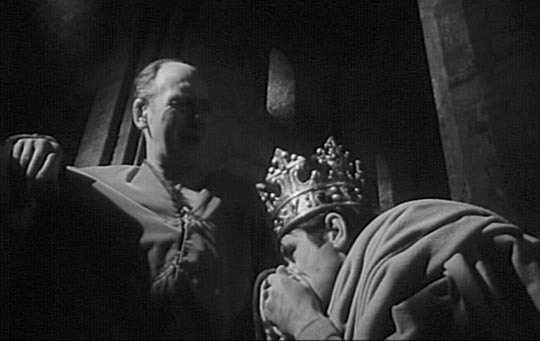 This, of course, is reason to celebrate; Welles’ labour of love is a remarkable achievement, his portrait of Shakespeare’s Falstaff – pieced together from Henry IV parts 1 and 2, Henry V, Richard II and The Merry Wives of Windsor – his crowning achievement as both actor and director. 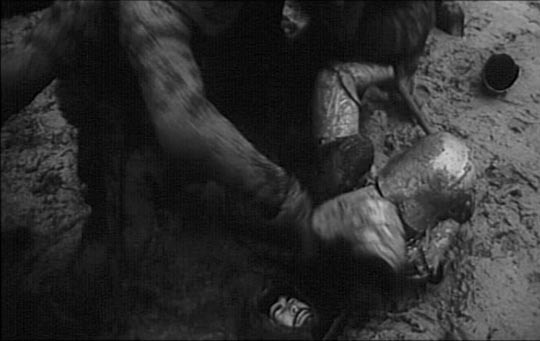 But Teachout comes not so much to praise Welles as to bury him. The headline gives away his angle of attack: “The Snare of Perfectionism: When Artists Aim Too High.” Obviously ambition is somehow just a little bit distasteful and those who have it need to be slapped down. After the opening announcement, the article proceeds to “explain” why Welles was such a failure, harping on his self-destructive “perfectionism” and the arrogance which wasted so much of his investors’ money and his collaborators’ time and energy. As reinforcements, Teachout brings in other artists (Arturo Toscanini, Jerome Robbins) who supposedly had the same problem, the inability to say “this is good enough” and move on to the next project. Of course, perfectionism can be a crippling disability, a mask for the inability to make decisive creative choices. But, really, does that have anything to do with Welles’ life and career? There are a couple of odd things in this short paragraph. First, the inaccurate statement that “it was always other people’s money”, when in fact Welles was constantly reinvesting his own earnings in his projects – something anathema to Hollywood. Second, and more importantly, the baldly stated implication that any filmmaker must be preoccupied with “box-office smashes” and must inevitably be “willing to tolerate the relentless assembly-line discipline of the U.S. film industry.” Teachout’s choice of words here seems so negative, yet he appears to be asserting that the idea that maximizing the producers’ profits is the sole purpose of film and that anyone who believes there’s more to it than that is an arrogant egotist and, in the case of Welles, how dare he go off to Europe and try to maintain control of his own work? 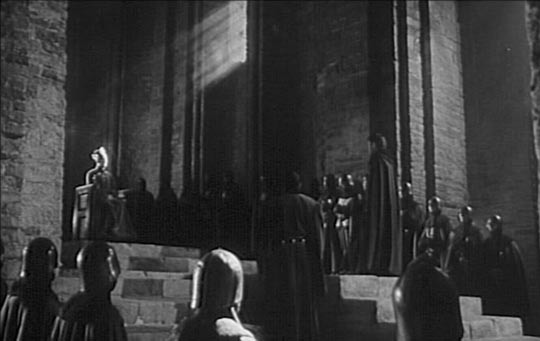 It’s true that Welles began his career with a film which relied on unlimited resources. But those resources were supplied to Welles by RKO, the studio which lured him to Hollywood, hoping to cash in on his reputation for genius. 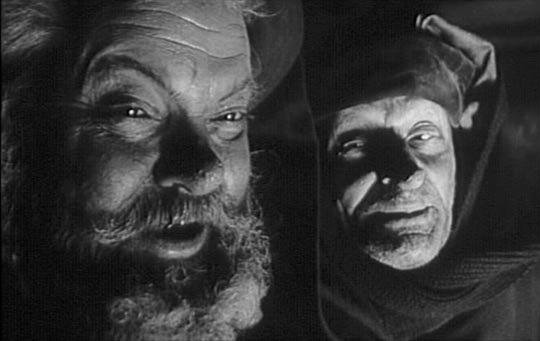 It seems rather harsh to blame Welles for taking advantage of the offer; he was given carte blanche and proceeded to make the film which interested him. Citizen Kane was not a financial success, but then there are many films later acknowledged to be classics which were not appreciated on their initial release. The studio thought enough of him at the time to go ahead with his second project, The Magnificent Ambersons, again providing him with the resources he needed to make the film he wanted to make. But, of course, things went somewhat differently the second time out. 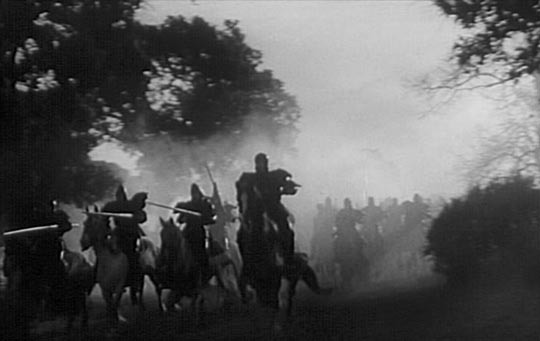 Kane had not been the success the studio hoped for and it was becoming apparent that Welles considered himself an artist, not a commercial filmmaker (which is not the same as saying he didn’t care if his films were commercially unsuccessful; like any artist, he hoped there would be an audience for what he did. He just wasn’t interested in catering to some preformed idea of that audience). Of course, the studios were not categorically averse to artists – they embraced people like Chaplin, Ford and Hitchcock, after all. They just liked their artists to work within commercially successful genres, something which didn’t interest the East Coast intellectual Welles all that much. 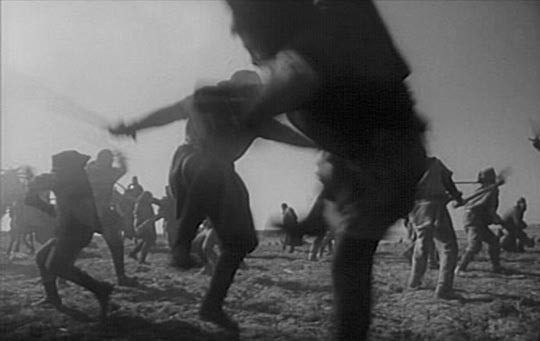 When Welles was asked by the government to go to South America and make a movie which would help to emphasize the bonds between North and South at a time when the war was threatening to pull the south into the German orbit, he was only too willing to comply. So he headed for Brazil to make It’s All True, one of several films not completed in his lifetime, eventually turning up as the basis for a documentary of the same name pieced together from the available footage by Richard Wilson, Bill Krohn and Myron Meisel in 1993, eight years after Welles’ death. But in accepting that assignment, he placed a dangerous distance between himself and the still not quite completed Ambersons, a risk compounded by the fact that Kane‘s “failure” had lost him the guarantee of final cut. 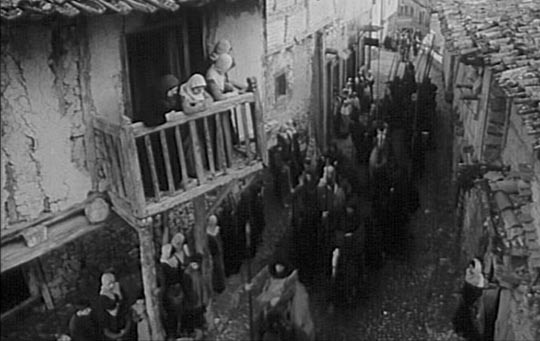 The studio took advantage of his absence to re-cut the film into what they hoped would be a more commercial form, enlisting Welles’ former collaborator on Kane, editor Robert Wise, to shoot a new ending designed to short-circuit the bleakness of Welles’ design. 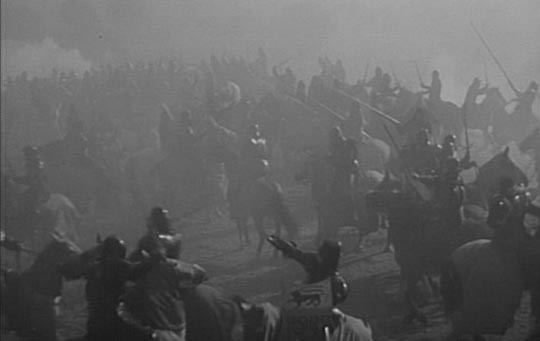 Stuck in Brazil, Welles fought long distance to maintain some kind of control, but lost the battle. 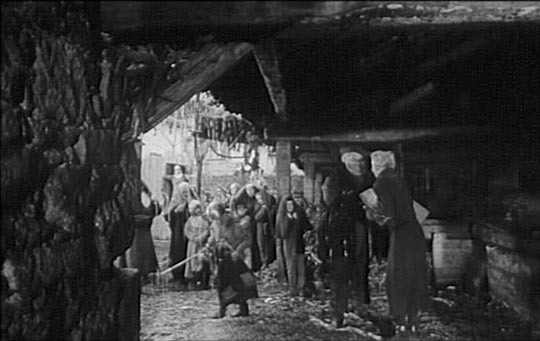 Typical of the time, the studio destroyed the material excised from Welles’ version and Ambersons survives only in the truncated, altered studio version. His dedication to making the films that interested him rather than “fitting in” with the Hollywood studio system and bending to the will of studio heads can only be seen as “self-destructive perfectionism” and outrageous egotism if we are willing to accept that the Hollywood studio system is the ideal of film production. 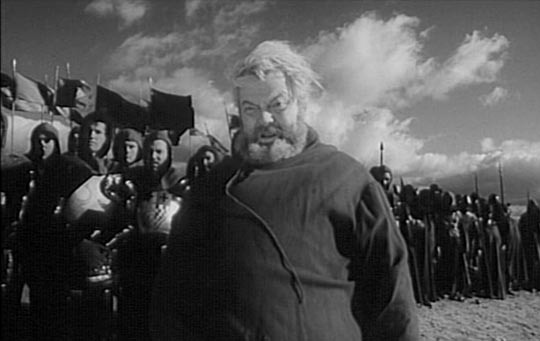 The view of Welles as a failure is rooted in his refusal to play that game, in the perception that he was offering an insult to the industry by turning his back on it. What’s interesting is that a number of critics share that view – Kael being the supreme example, Teachout merely the latest to trot out the tired argument. 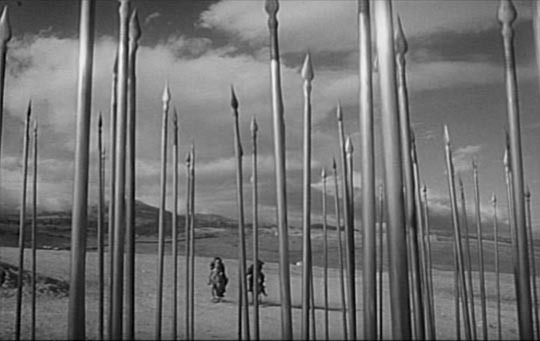 There are, of course, any number of far more profligate filmmakers at work within Hollywood, directors who spend hundreds of millions on a project compared to the petty cash Welles had at his disposal for works like Macbeth (1948), Othello (1952), The Trial (1962), Chimes At Midnight (1965), and F For Fake (1973). Yet it is Welles who is perceived as “wasteful” because the films he worked on weren’t big box office. 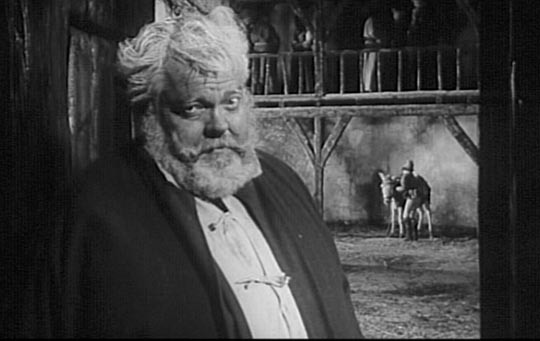 In the system he rejected, an unimaginative hack can put together a personality-free piece of generic movie-making which rakes in cash at the box office, and that makes him a valuable team player; Welles, working on the fringes, is held up to ridicule as a fool who squandered his opportunities because he actually thought he was involved in some kind of art form. When he returned to Hollywood in 1958, he proved that he was quite capable of adapting his approach to the medium to a studio project, while still retaining the idiosyncratic creativity which marked all of his work. But the studio types at Universal distrusted his instincts and insisted on trying to make Touch of Evil what they considered more commercial. 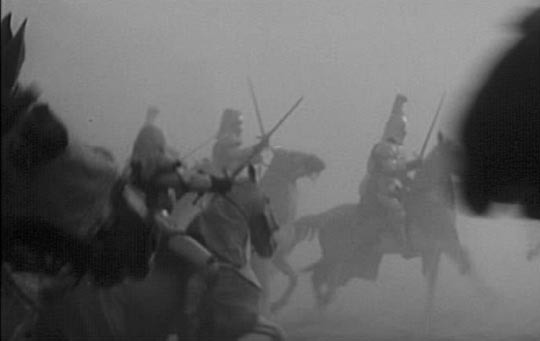 They shunned Welles’ suggestions and released their own cut. There was nothing egotistical or prima donna-like in Welles’ response to this; look at the lengthy memo he sent to the studio with his editing suggestions based on the preview cut of the film and you see a filmmaker who knows he’s serving his producers and yet wants to make the movie the best it can be. 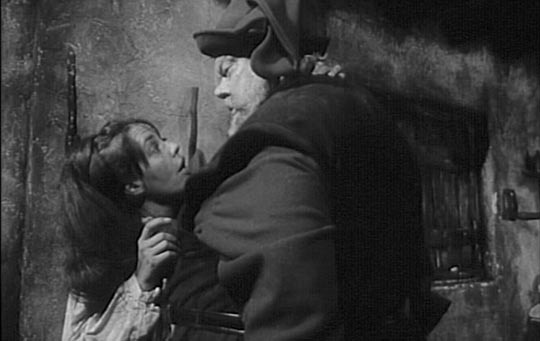 And if you compare the release version with the “restored” cut compiled from those notes in 1998 by Jonathan Rosenbaum and Walter Murch, you can see how much stronger Welles’ suggestions make the film. He had terrific instincts, but his producers thought theirs were better and Welles went back to Europe and continued to piece together his independent productions. Every frame of those films gives the lie to Teachout’s argument. There’s no sign of profligate money-wasting, but rather every indication of a filmmaker who was able to wring the most remarkable value from every cent he had to spend. 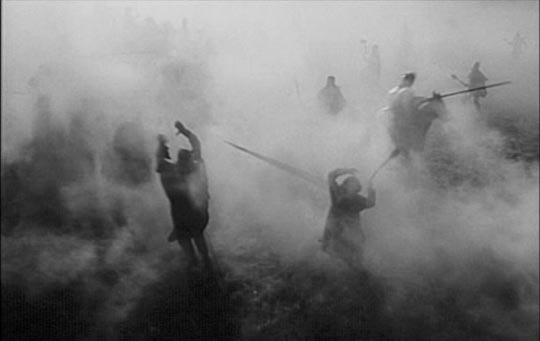 With the most meagre means available, in Chimes At Midnight Welles created one of the richest visions of the medieval world ever put on film, and with a mere handful of extras and costumes he constructed one of the most visceral and shocking battle scenes ever shown. How strange to recognize and admire what Welles managed to accomplish with the means available to him, and then complain that he failed to do more. 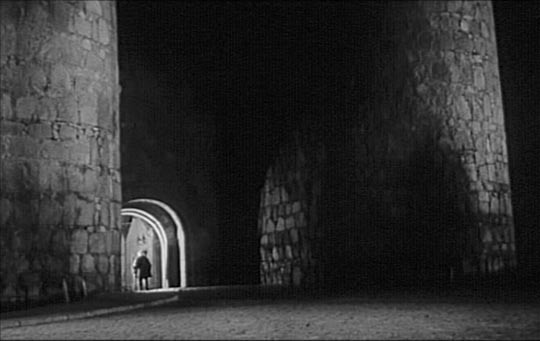 Yes, Welles left a number of unfinished projects and many of those he did complete can be seen as flawed because of financial limitations, but the idea that somehow he could have created a longer string of masterpieces if only he had subjected himself to the discipline of industry producers is ludicrous. What Teachout fails to acknowledge is that, within the system he seems to think Welles should have accommodated himself to, Chimes At Midnight probably never could have been made. It wasn’t Welles’ “malignant perfectionism” which prevented him having a more prolific career, but a system which viewed the work he was doing as a kind of artistic snobbery which had no place in the populist entertainment of the movies. Or, as Teachout puts it, he “aimed too high.” Welles chose to reject the “relentless assembly-line” of Hollywood and went elsewhere to make his films, though that choice entailed a great deal of struggle and frustration. No doubt if he had squashed his ambitions and acceded to the wishes of the studio bosses, he could have produced a lengthier filmography and become wealthy; but then we would not have those truly Wellesian films which are so distinctly unlike any other director’s. This entry was posted in Commentary and tagged Actors, Directors, Film Criticism, Film History, Orson Welles. Bookmark the permalink. 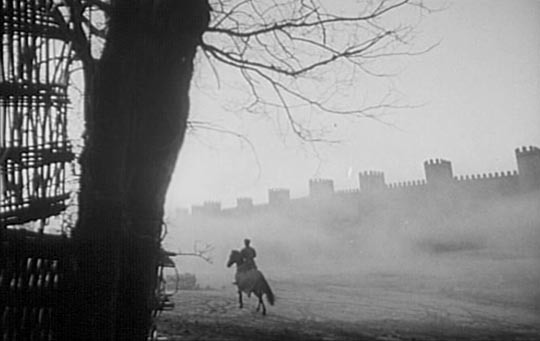 Although he isn’t the most objective when it comes to Welles, Peter Bogdanovich has said that Citizen Kane was popular in the few places it was released and that it failed with a popular audience because RKO killed it. I don’t know if it is true, but I’ve never seen anyone look closely at the matter. I tend to think people would have found the film compelling.